LOS ANGELES – California and Los Angeles County have agreed to purge as many as 1.5 million inactive voter registrations across the state as part of a court settlement finalized Wednesday with Judicial Watch, a conservative activist group. Judicial Watch sued the county and state voter-registration agencies in Los Angeles federal court, arguing that the state was not complying with a federal law requiring the removal of inactive registrations that remain after two general elections, or two to four years. Inactive voter registrations usually occur when voters move to another country or state or pass away but remain on the rolls. The lawsuit alleged that Los Angeles County, with more than 10 million residents, has more voter registrations than it has citizens old enough to register with a registration rate of 112 percent of its adult citizen population. The lawsuit also uncovered that neither California nor Los Angeles County had been removing inactive voters from the voter registration rolls for the past 20 years, according to Judicial Watch. The settlement agreement, filed with U.S. District Judge Manuel L. Real, requires all of the 1.5 million potentially ineligible registrants to be notified and asked to respond. If there is no response, those names are to be removed as required by the National Voter Registration Act. California Secretary of State Alex Padilla also agreed to update the state’s online NVRA manual to make clear that ineligible names must be removed and to notify each California county that they are obligated to do this, which should lead to cleaner voter rolls statewide, according to Judicial Watch. Prior to the agreement, Judicial Watch estimated that based on comparisons of national census data to voter-roll information, there were 3.5 million more names on various county voter rolls than there were citizens of voting age. The settlement could cut the number in half, Judicial Watch President Tom Fitton said. 7 comments for "L.A. County and state to purge 1.5 million inactive voters from rolls"
Need to show ID and proof of citizenship before voting. Liked you used to do. You still do. Exactly like you always have. 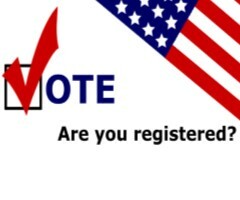 To register to vote you have to show ID and proof of citizenship. That has NEVER changed. The Breitbarfoons falling for the panic inducing propaganda is the only new thing in the mix. You may need the ID and citizenship proof to register but you sure don’t need ID to vote. In the Rancho Vista area all you need is a name and you get a ballot, no ID allowed. Guaranteed that Tim’s friends take advantage of the 1.5 million opportunities. So call me names and shortly a racist but clean up the voter rolls and prosecute all noncitizens for voting. And while at it imprison all the citizen scoundrels like Denslo Allen Paige too. If anyone was “taking advantage of the 1.5 million opportunities” those “opportunities” wouldn’t be showing up as inactive. I won’t call you names, because the stupidity of your comment speaks for itself. And, no, showing ID was never a requirement to vote. You show up with your sample ballot, that was sent to a registered voter, and you voted. It’s funny watching the Breitbarfoons with their “giant voter fraud” fantasies. They come up with these mechanisms for how it’s happening, and someone immediately points out an undeniable flaw that just blows the whole thing out of the water. No matter how many fantastic crazy plots they come up with to explain how it is happening, and no matter how easily these wild schemes are shown to be completely impossible to carry off, the Breitbarfoons just keep on with their ridiculous “belief” in their “alternative fact.” And one of them is the president. Surprised someone hasn’t commented something along the lines of “There go 1.5 million democrat votes”!